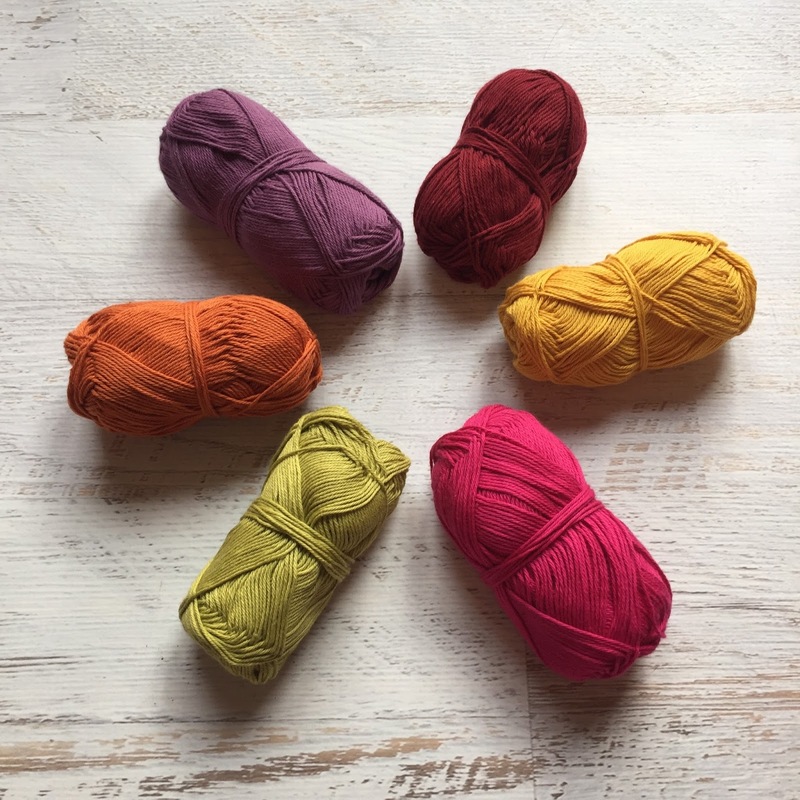 Fifty Shades of 4 Ply: Monsoon Stole Delight! Hi Folks! I know!!! Another blog post so soon....the world may end ;-) Just thought I'd quickly show you one of the things I've making over the last couple of months. Well the stuff I can share anyways as quite a bit is secret ;-) A few months back I saw a photo of the most stunning stole. It just stole my heart (get it???!!!!!) Okay aside from the crappy jokes I really adored this stole pattern. It's designed by Alia Bland and the pattern can be bought here. Now I'm not a one for paying for patterns but I gladly parted with my cash for this one!!! I dug into my rather large stash of Scheepjes Cotton 8 and picked out some colours. Cotton 8 is my favourite of all the yarns made by Scheepjes. I love it. The colours are fabulous and it's not splitty. The more you work with it and wear it the softer it gets. And at £1.99 for a 50g ball it won't break the bank either! UK folks can buy it here! Just go look at those gorgeous colours!! !